Franklin, TN-based HCTec Partners announces acquisition of HIMS Consulting Group, increases market share in the HIT consulting space. HCTec Partners (“HCTec”), a healthcare IT and health information management staffing and consulting company headquartered in Franklin, TN, announced that it has acquired Steamboat Springs, CO-based HIMS Consulting Group (“HIMS”). This acquisition strategically aligns two industry-leading organizations to offer collaborative solutions that meet the needs of customers and consultants in an ever-changing healthcare market. Erich Strotbeck, general manager of HIMS, added: "HIMS and HCTec will combine their best practices to help our customers achieve their HIT initiatives, so they in turn can better serve their patients." The combined company will operate under the HCTec brand, however the successful strategies of both companies will continue, providing their employees, customers, and consultants with the best service and experience available. HCTec’s mission is to discover, develop, and deliver dynamic people and innovative solutions to enhance healthcare services and patient care. We provide HIT and HIM resources and solutions that fit our customers’ specific needs and produce measurable results. 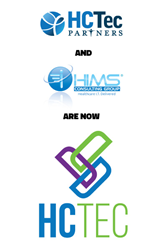 HIMS Consulting Group, Inc. is a healthcare IT professional services firm based in Steamboat Springs, CO. With over 30 years of combined workforce management experience and proprietary development of professional consulting resources, HIMS' systematic approach delivers complete EMR solutions addressing the complex demands of IT resource planning ensuring successful project implementations. Founded in 2004 by industry experts, HIMS Consulting Group identifies and develops many of the industry’s leading Healthcare IT experts. HIMS’ network of consultants are dedicated to delivering value, guidance, and vision to any clinical, financial, and information system implementation, upgrade, or conversion.